Mark Martinez, creator of the highly regarded Stiletto Titanium Hammers, is back with a new generation of framing hammers. 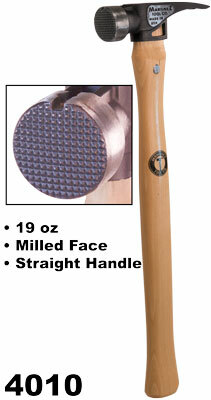 The titanium-handled and wood handled steel head hammers are made in the USA. 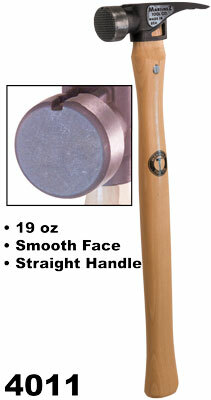 For a professional who swings a hammer every day, either is a first choice. 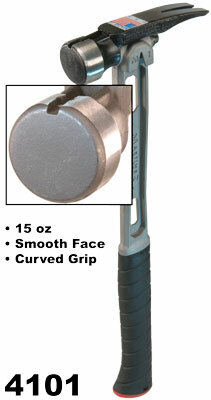 The 4100 Series is quite possible the best looking and most functional hammer of all time. 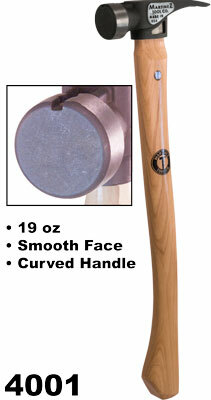 Similar to the Stiletto TiBone, but smaller, sleeker, and has a removable all-steel head, rather than just a replaceable steel face that can loosen over time. 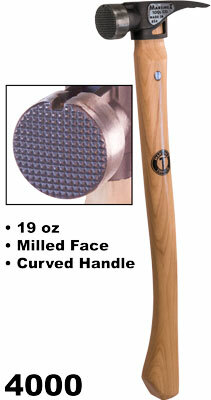 The head is available in either smooth or milled face. 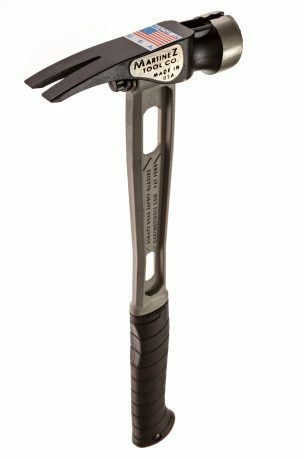 The Titanium Hammers are the same weight as the Stiletto’s but offers higher kinetic energy due to the center of mass located closer to the head. 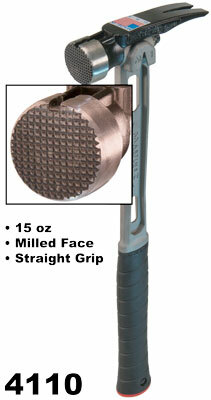 It delivers immense striking force with minimal recoil. A dovetail on the bottom of the head slides onto the handle and is secured with a bolt.The connection is supper strong and field replacement takes seconds. 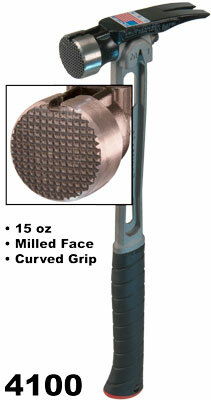 The 4100 series is comfortable to use all day, has a magnetic nail starter, and the grip is replaceable. All in all, an incredible hammer. 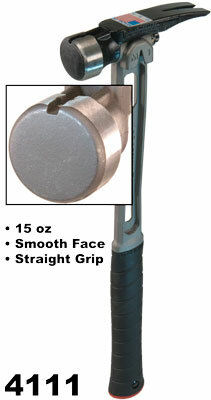 The steel-head, wood handle hammer has a head similar to a conventional hammer, but instead of wedges, is attached with a long T-bolt that creates a very secure connection to the handle and simplifies field replacement. 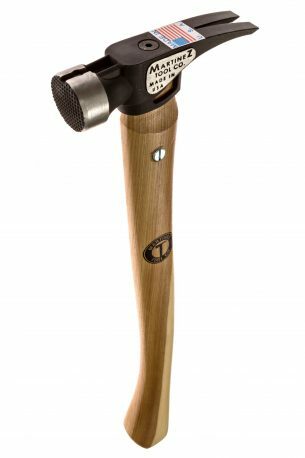 This hammer has a forward-weighted head and delivers the same driving force as the more expensive 4100 Titanium Handle Series.